BDCOM P3600 – is a new series of OLT (GEPON concentrator) for access networks GEPON (Gigabit Ethernet PON). 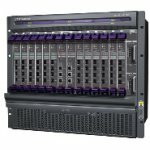 BDCOM P3600 OLT is highly reliable, with high density of GEPON ports, has wide opportunities for traffic switching. Concentrator BBS 4000 has sufficient flexibility, functionality and extensibility for integration into all existing networks of providers and future networks of wideband access. It supports all requirements on quality of service and provision of required transmission band. So it superficially suits for construction of optical access networks on base of Ethernet/IP technology. Optical terminal equipment (OLT) provides construction of optical access networks based on technologies Ethernet / IP. This hub with optical networking equipment (ONU) is a complete solution of networking access for private and corporate clients with gigabit bandwidth to the last-mile segment.